Showing results by narrator "Clara Nipper - Sounds Good Studios"
I was still in high school when I met Mason. Everything about him seemed dangerous to me, from the fact that he was an illegal street racer to the fact that he was older than me. He was the sexiest guy I'd ever met, and I was way too young...Maybe that's why I fell so quickly into his arms. I'm caught between my strict dad, a boring high school life, and an underground world filled with fast cars and deadly consequences. As a high-class call girl in New York, Kara's had her share of generous, and sometimes odd, clients. But she's never had one like this before. From buying out an entire night to showering her with gifts, he's set up a night far beyond anything she's experienced before. But who is this mysterious man, whose name she doesn't even know? And what does he want from her? It's business as usual for Kara, but there's one thing she can't stop thinking about, and that's Dimitri. What started out as a slightly unusual client booking is turning into far more, and even though she knows that she's treading dangerous ground, she can't help but want to see him again. After his confession, it would make perfect sense for her to never let him contact her again. But she wants to see him, and not just for the money. 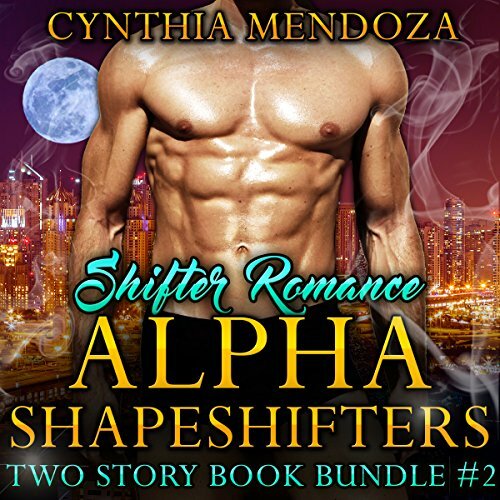 An exhilarating two-story bundle of wolf shifters and lion shifters. This steamy collection of five books will keep you on the edge of your seat and craving to hear more. Despite Dimitri's sudden departure, Kara's determined to get through the rest of the night. She's a professional, after all, and leaving early is bad for business. What she doesn't realize is that the night has another twist still in store, and it's nothing she's expecting....Afterward, she's not sure that she wants to see Dimitri again. But lust is a powerful thing, and she's going to find it hard to stay away for long. After spending more than one night with the enigmatic Dimitri, Kara knows her feelings are moving beyond what is appropriate with a client. She needs to rein them in, or decide to cut him loose, but the way she is going can only lead to disaster. Then Dimitri contacts her, asking her to meet him on a day off. She knows, professionally, she can only do this if it is not as a client. But what will happen if she meets Dimitri like any other man? She knows that things will never be the same if she does it, but she can't say no. Months ago, billionaire Nate Porter lost his home and the love of his life in a fire. Certain that it had been no accident, he finds himself making a deal with an unlikely ally; a demon who demands one thing out of him. She wants to know what love is, and she will help him find out who ruined his life. Hanna Townsend opts to come along on the Porter family vacation to Puerto Rico. It's her first time leaving the home ever since she made the contract with Nate Porter. Things start out fine, until the two get into the bedroom.